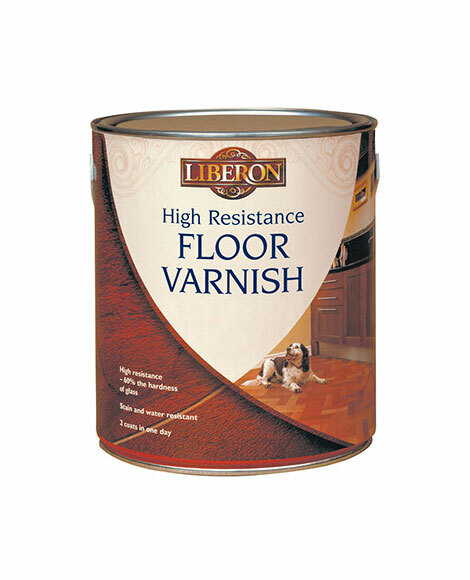 High Resistance Floor Varnish provides low odour, highly resistant protection for interior wood floors. It is particularly suited to rooms and areas that will experience high foot traffic, including heel impact, such as hallways, dining rooms, lounge rooms and stairs. Stain and water resistant with a non-slip finish, this varnish offers a durable, quality finish within 24 hours, with a drying time that allows for a two-coat application in one day. Sand the floor if required and remove all previous finishes. Ensure the surface is clean, dry and dust free. 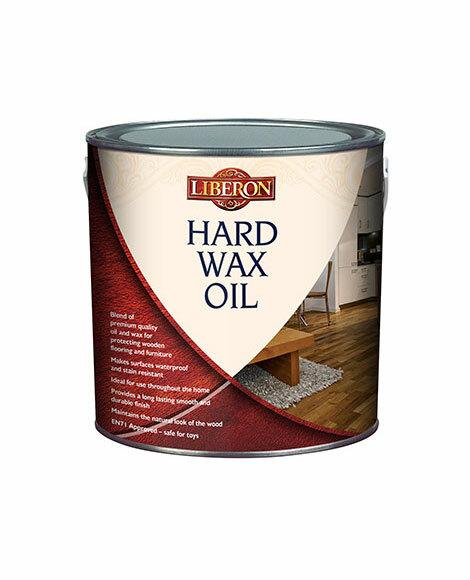 If colouring the wood, apply Liberon Wood Floor Dye to the timber before varnishing, or add Liberon Wood Floor Dye to the varnish to create unique colour tones. Allow all wood dyes to dry for a minimum of eight hours before applying High Resistance Floor Varnish. Stir well before use. Apply High Resistance Floor Varnish evenly with a brush or short hair roller. Allow to dry for a minimum of six hours before applying further coats, lightly sanding the surface between coats if required. We recommend a minimum of three coats, with more coats being applied for a more durable finish or where foot traffic is particularly heavy. Allow the final coat of varnish a minimum of 24 hours drying time before using the floor. Always test the product on a spare surface or inconspicuous area for colour compatibility and end result. A wet surface will be an indication of the final colour. Apply varnish plank-by-plank while facing the sunlight. Start in the corner of the room and work back towards the door. Ideal application conditions are between 12 and 25°C. The varnish may raise the grain on some hard woods and may darken some types of timber. 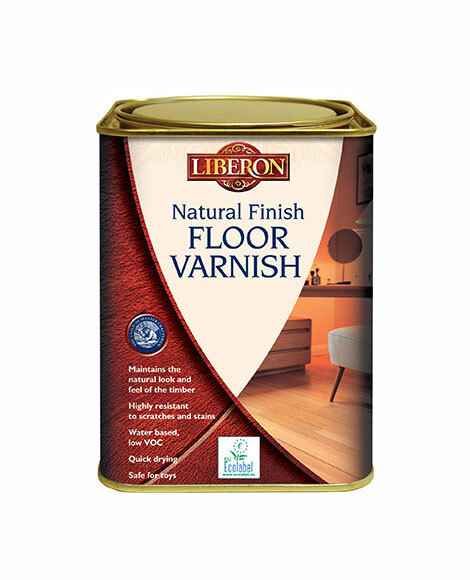 To reduce the darkening of timber when using Liberon High Resistance Floor Varnish we recommend the use of Liberon Pre-varnish for wood floors.